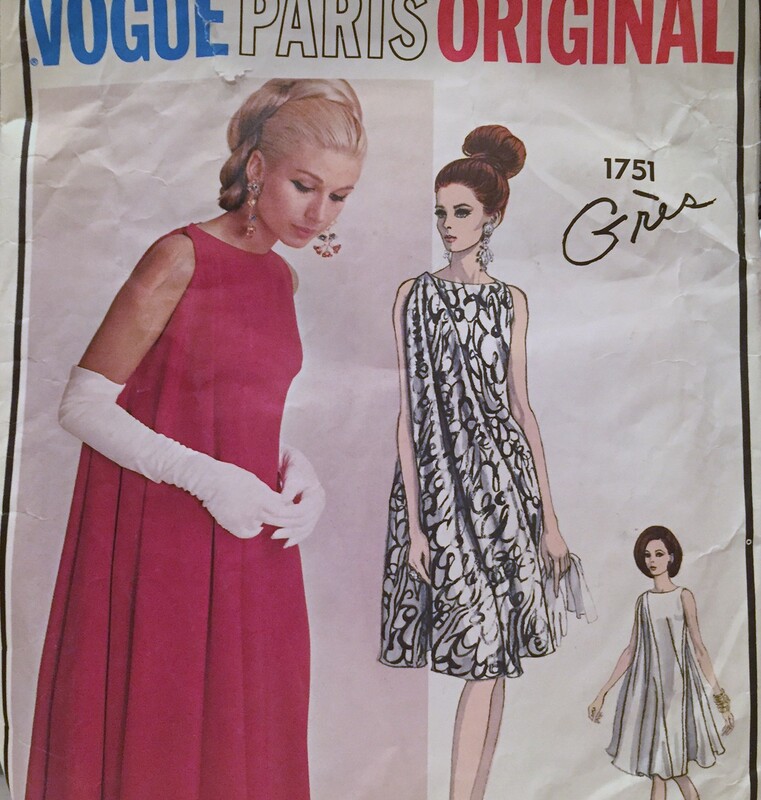 With the holidays over, I decided to get going on this 60s Vogue Pattern by French designer Madame Gres. The design is actually a straight shift dress underneath, with French darts to give shaping from the bust to the waist, one of my favorite vintage cuts. Then a large half-circle of fabric is attached to the front and back of the dress on the diagonal and over one shoulder, and slashed to go under the arm, giving it an asymmetrical flow. As always with these old designs, I know that something that simple is probably going to be tricky. 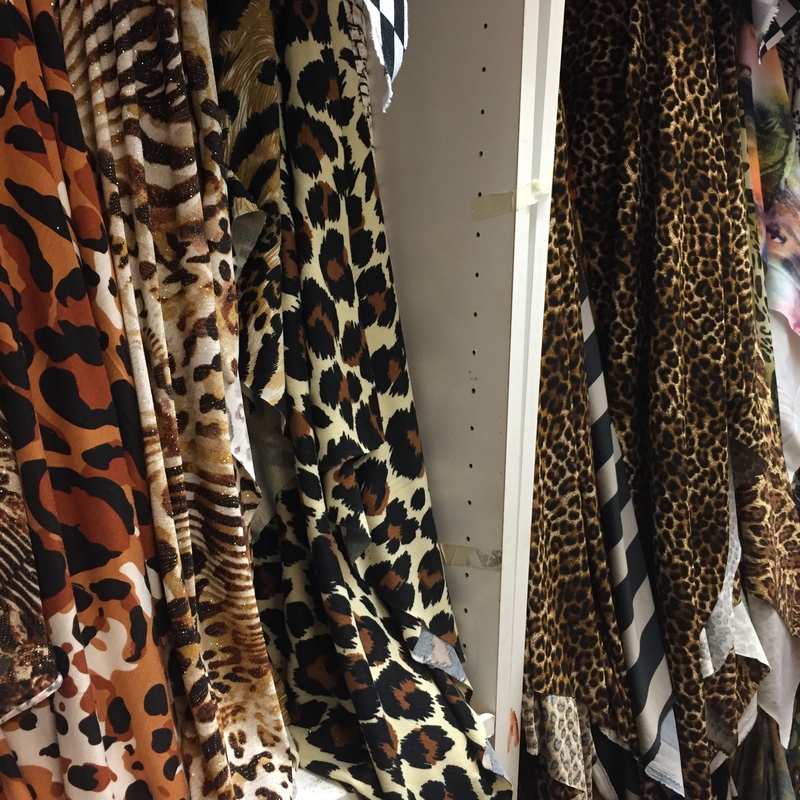 You never know what you’re going to find when you look at these vintage patterns. In this case, there were still some old tailor’s tacks attached. 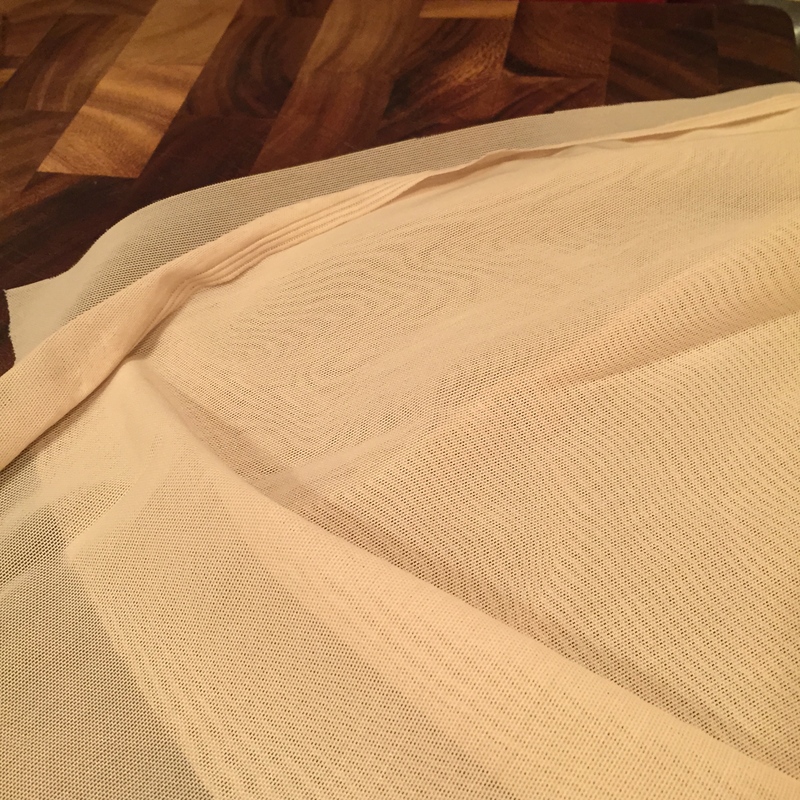 I decided to use some cheap ponte from my stash to do a quick muslin. 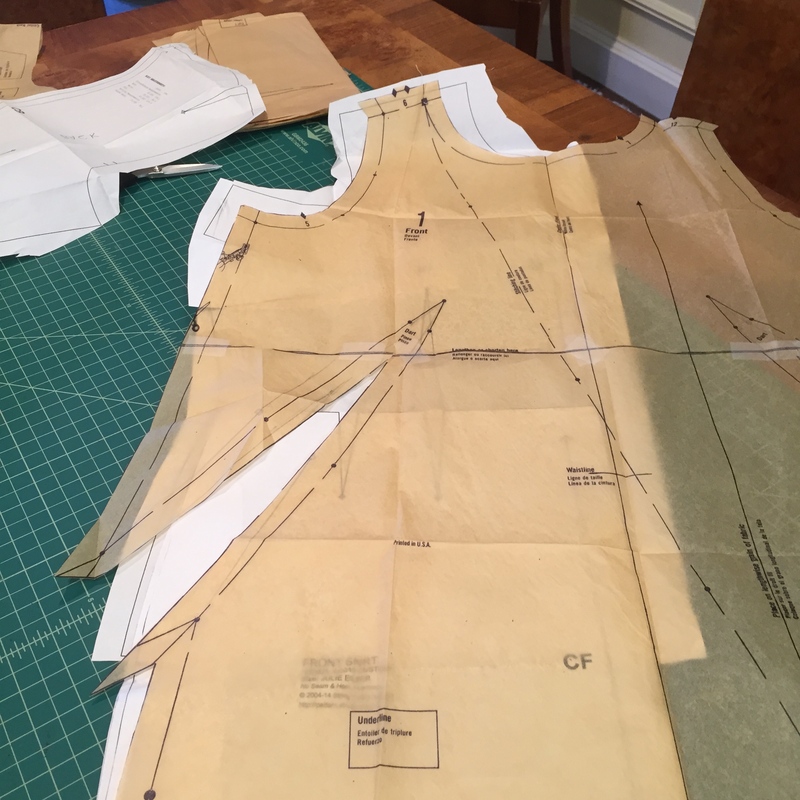 Even though this pattern is a couple of sizes too small for me, sometimes these 60s patterns are cut somewhat loose, and I also knew that with a knit there would be some extra ease in a pattern cut for a woven. 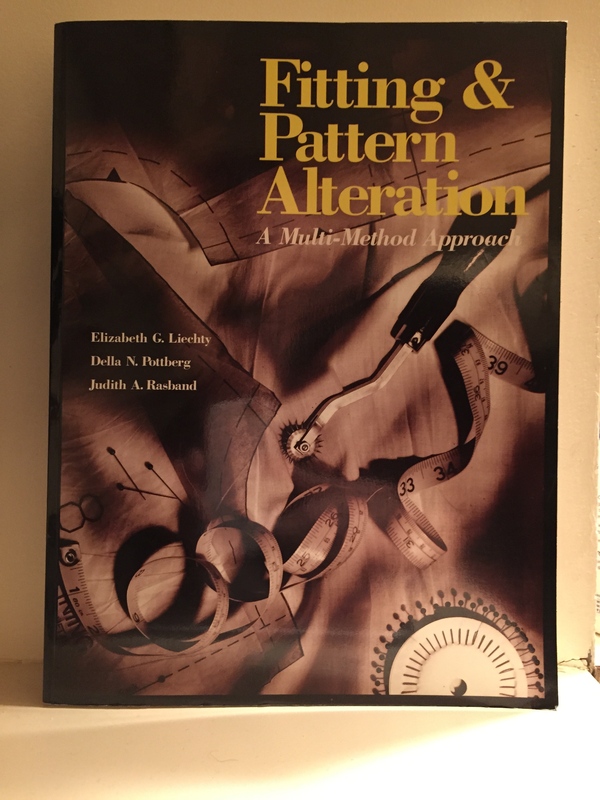 I’ve been reading this fitting book recommended by Susan Khalje, which is based on analyzing the body for fit, rather than analyzing what’s going on with the garment. It’s very helpful! I started by comparing the pattern to the fitting shell pattern I made last winter (hope it still fits! ), and found that actually, the Gres pattern was pretty close. But since I’m making it in a knit, I held the pattern up to a knit dress I have to compare the fit. Again, it was pretty close, so I just added a little room on the side seams when I cut it out. I put the muslin together, and the fit was quite close. (I’ll have a pic of that next time.) It has a nice flow from the bateau neck, curving in with the darts, and then going straight down. 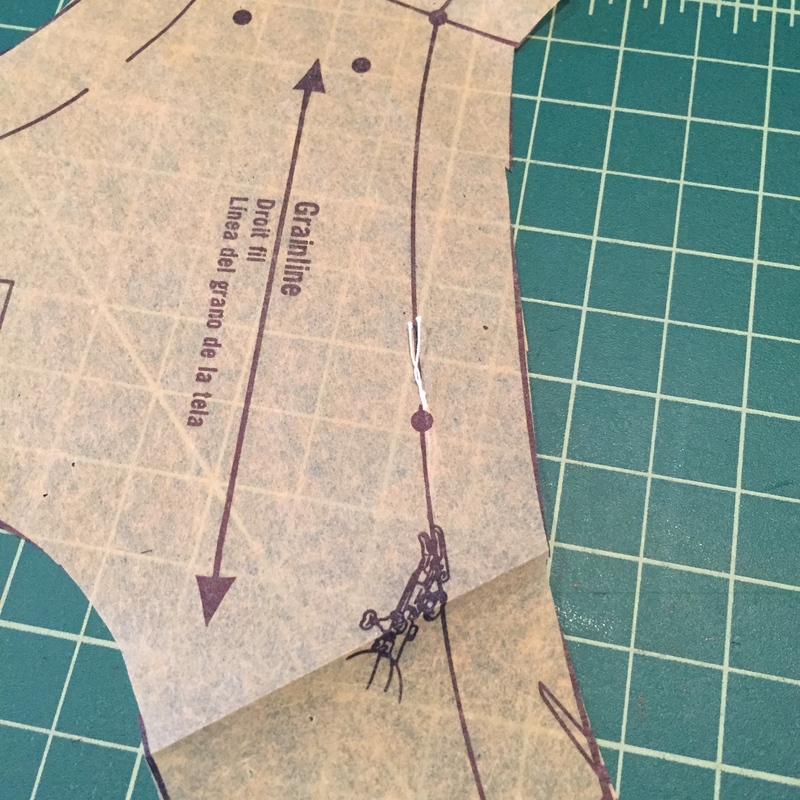 The pattern calls for underlining, so after consulting with some sewing peeps, I decided to try underlining it with power mesh. The designer Roland Mouret is know for parking that mesh under his form-fitting Galaxy dresses. So I ran out to Sew-fisticated! in Cambridge to pick some up. They were ready for Jungle January big time! I hope to get the sewing going in earnest on this dress next week. This entry was posted in Uncategorized, Working with Vintage Patterns and tagged Madame Gres, Madame Gres sewing pattern. Bookmark the permalink. 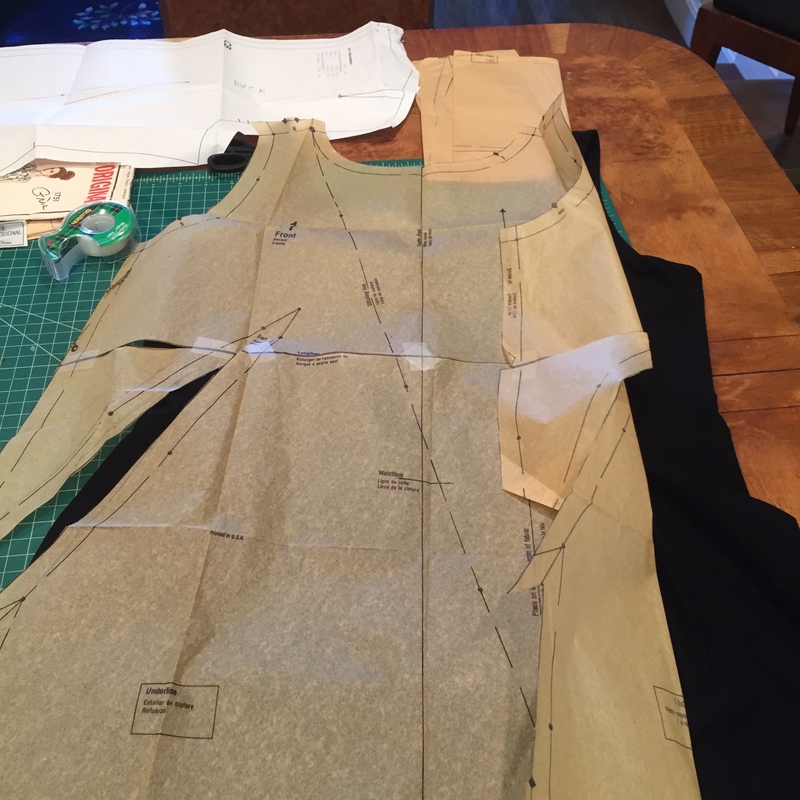 ← Claire McCardell-Inspired Free Downloadable Pattern, and a couple of hacks. I’m excited to see how this turns out. I’d never really been a fan of Gres until I saw her work in an exhibition several years ago. She was a genius. I’m eager to see how it turns out, too. The muslin is nice. Some tricky bits around the arm and shoulder, though. Thanks so much! Boy, that Ebay surfing can really get those alpha waves going. 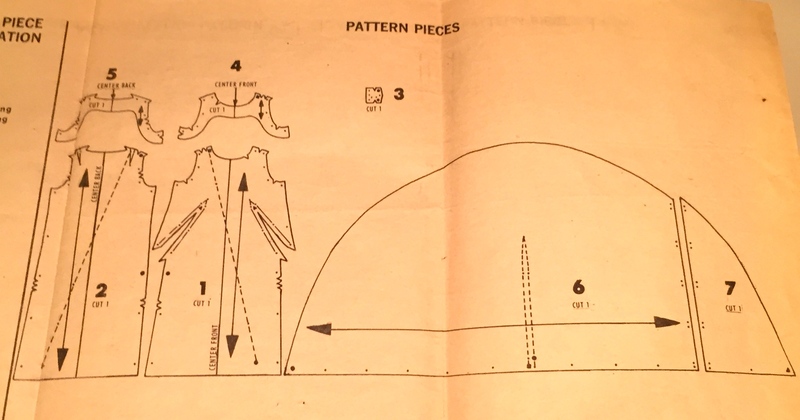 But in the case of the Spadea and Vogue designer patterns from the 50s and 60s, you really are getting patterns drafted from original garments. I’ve also been collecting the McCalls Halstons from the 70s, which have great lines. Hi Mary, I think some of your comment got lost. Can you send it again? You fired your graphics team AND the chipmunks? Or the chipmunks were the graphics team?? LOL. I’ve been meaning to try the powermesh trick. I’m looking forward to your results. They’re one and the same, and they’re outside the window looking very forlorn. I’m mulling over the power mesh underlining attachment…anyone have any thoughts? Mulling over whether you should do it? I think you should go for it! I’m definitely going to use it; what I’m mulling over is how to attach it as underlining, so if readers have suggestions they should leave them in the comments. I love this design and look forward to seeing the final product! The power mesh underlining is an interesting tip that I will store away for future reference. I’m eager to see how it all works out. And at this age, I can use all the power mesh I can get. Interesting project, I am curious to see how this half circle draped finally. Using Power Mesh as a lining sounds like a very good idea, thank you for telling this, I should try it when sewing a fitted dress someday (now I was close to write “fitting dress”, could this be called a Freudian slip^^). And it is good to see you making a Vogue-Paris-Original-pattern, I own two myself (a Nina Ricci and a Lanvin one) and have never worked with them, maybe your project will finally get me going. Hi Ette, those sound like great patterns, so I hope you will try them and show it on your blog. With this pattern I can see that some modern things may help, like the power mesh and an overlock stitch. I think attaching the drape will be tricky. You are alwasy so nicely busy with fabulous projects! It will be so lovely dress! 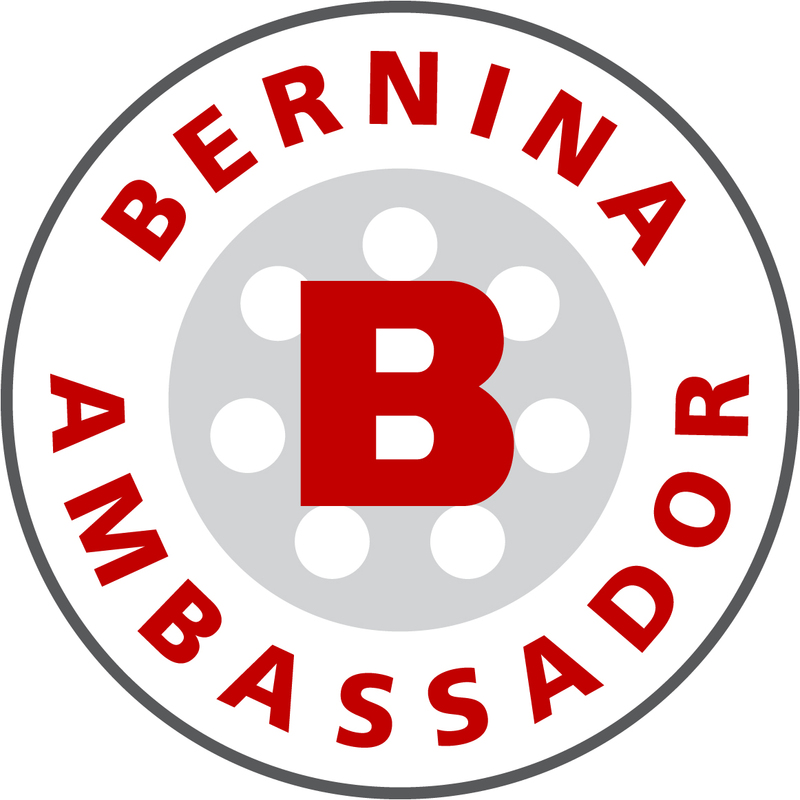 Thanks Beata! Sometimes I’m a little too busy… You know when you get really deeply into a project and you don’t want to mess up? That’s the point I’m at. Today’s #sewapril2019 prompt from @sewing_and_design_school is the Classic Chanel Jacket, so I just had to get an oldie but a goodie out of the closet and into the magical realm of the bathroom selfie. This was one I made from probably the only existing official Chanel jacket pattern, “reproduced by Susie Perette,” which means their company licensed the original design from Chanel. 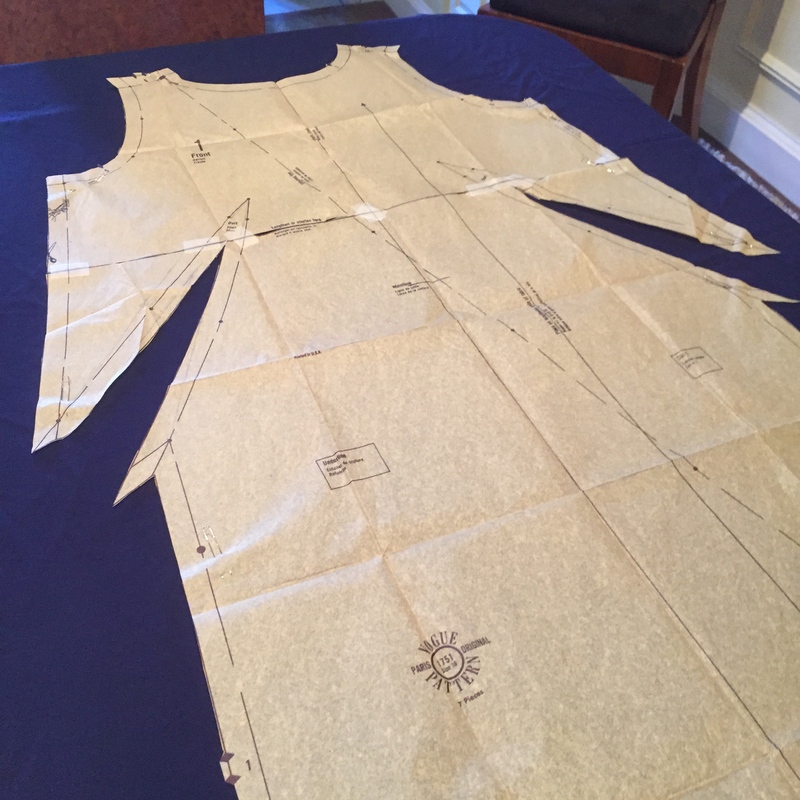 The pattern is by Spadea from 1962, and I made it using the one page of very skimpy instructions. I remember being so preoccupied with how to put it together that I almost got hit by a car crossing the street! The vertical welt pockets are unusual for Chanel but not unheard of. The sparkly fabric and pretty trim are from Janssens et Janssens in Paris, and the buttons are from Paris as well. The silk lining is Carolina Herrera. The whole thing is underlined with silk organza, so the fashion fabric is quilted to the organza and the lining is loose. It’s very toasty! There was so much hand-stitching that I got tendinitis in my thumb. Details are on my blog somewhere—click the link and search for Chanel. Why don’t I wear this more often?! @fiberstofabric #fiberstofabric @mendelgoldbergfabricsnyc #mendelgoldbergfabricsnyc #mendelgoldbergfabrics @mendelgoldbergfabrics @leathersuedeskins #leathersuedeskins @patternsy #patternsy @pacificfabrics #pacificfabrics @howtodofashion #howtodofashion @thedelhistore #thedelhistore @fabricsandnotions #fabricsandnotions Whew, that’s a lot of hashtags!